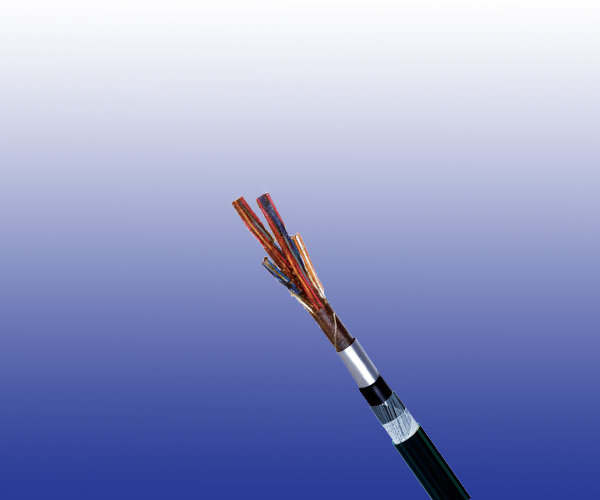 The telecom cables are suitable for modem based supervisory system operating in the VF range from 300 to 3000Hz. Conductors Class 1 solid plain copper conductor 0.9 mm nominal diameter to BS 6360, complies with BS 3573. Insulation Solid polyethylene type 03 to BS 6234. Core Wrapping PETP (Polyethylene Terephthalate) tape. Inner Sheath Low density polyethylene type 03C to BS 6234. Core Wrapping Water blocking tape. Sheath Low density polyethylene type 03C to BS 6234.